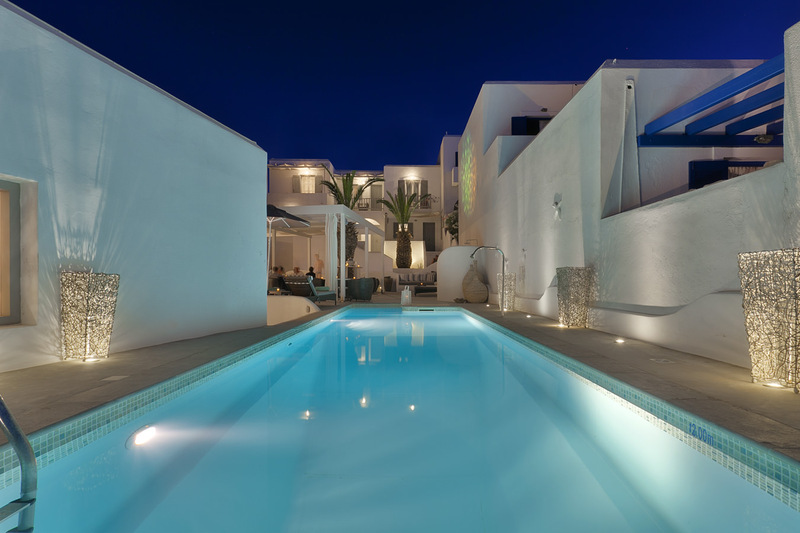 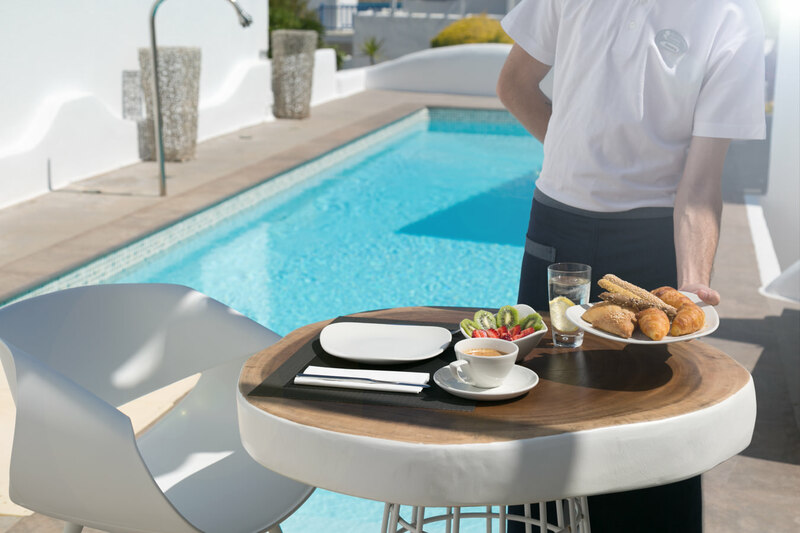 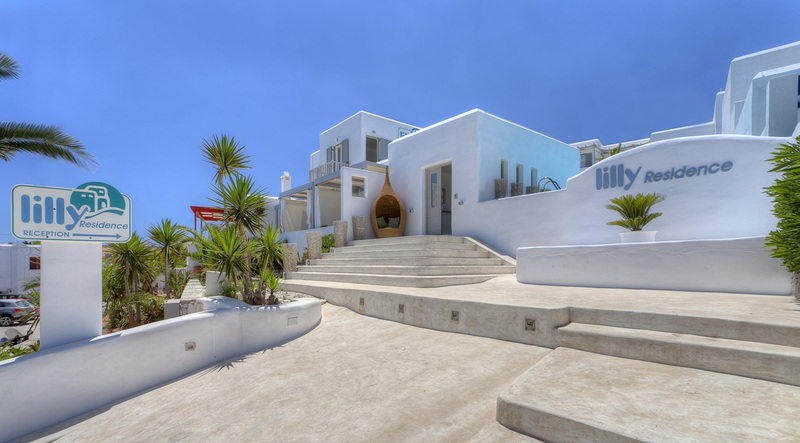 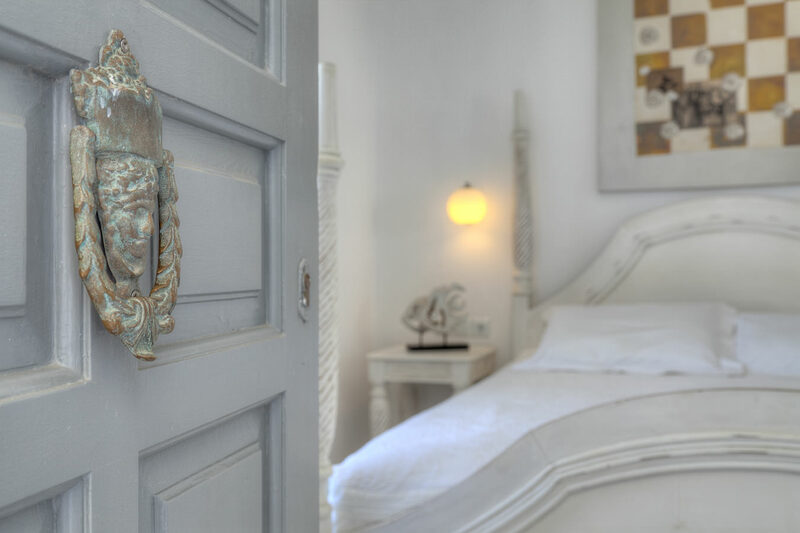 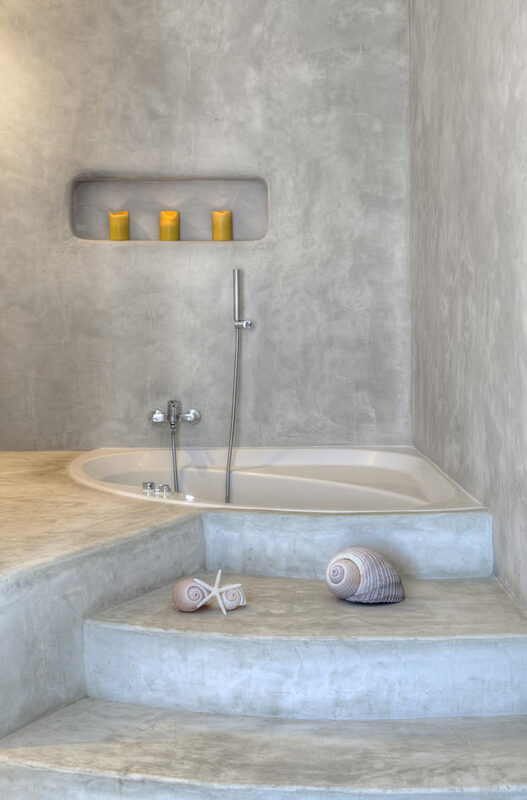 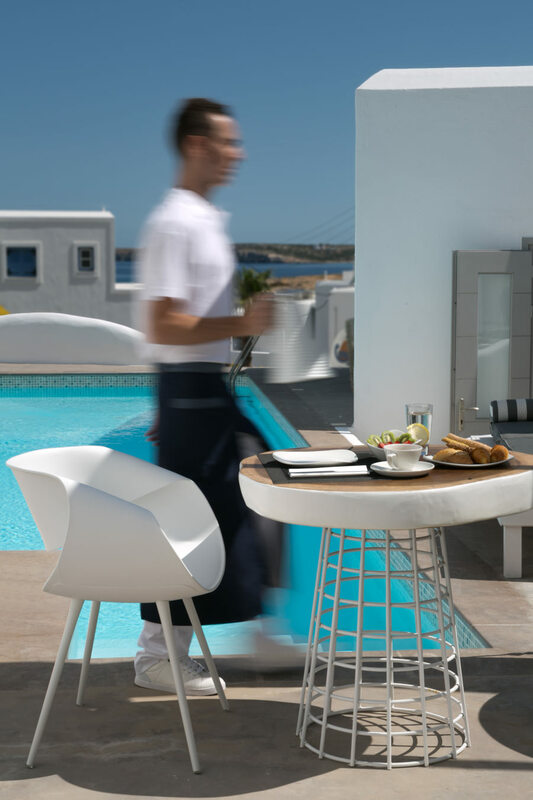 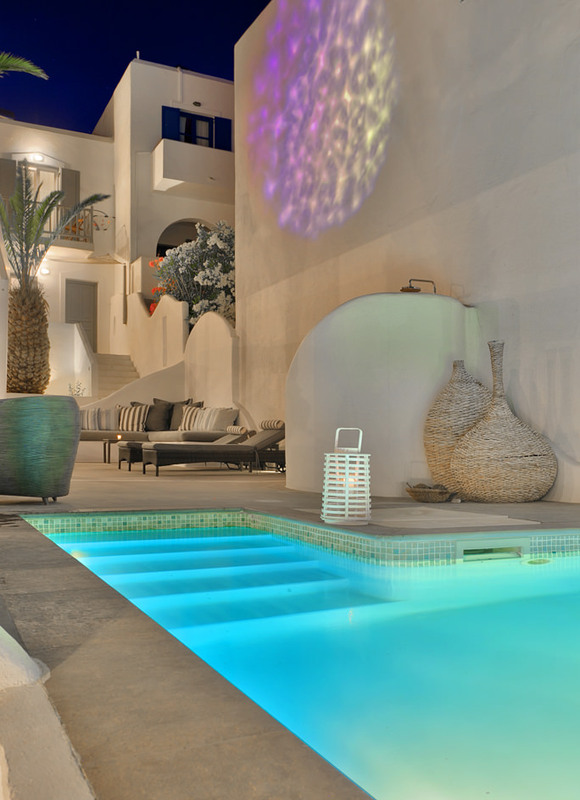 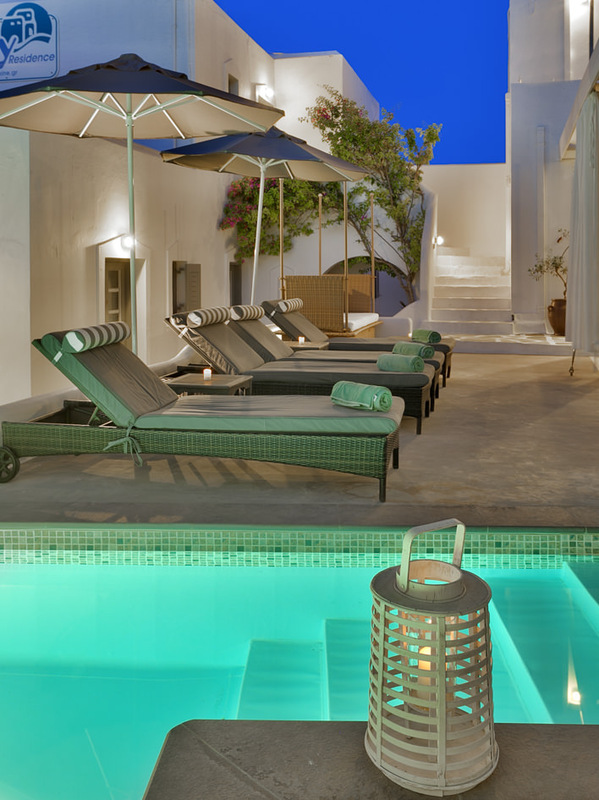 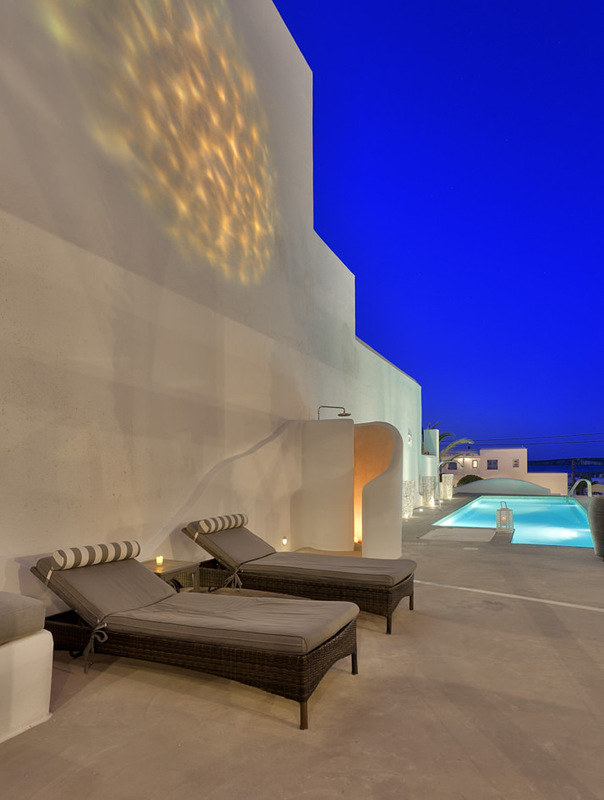 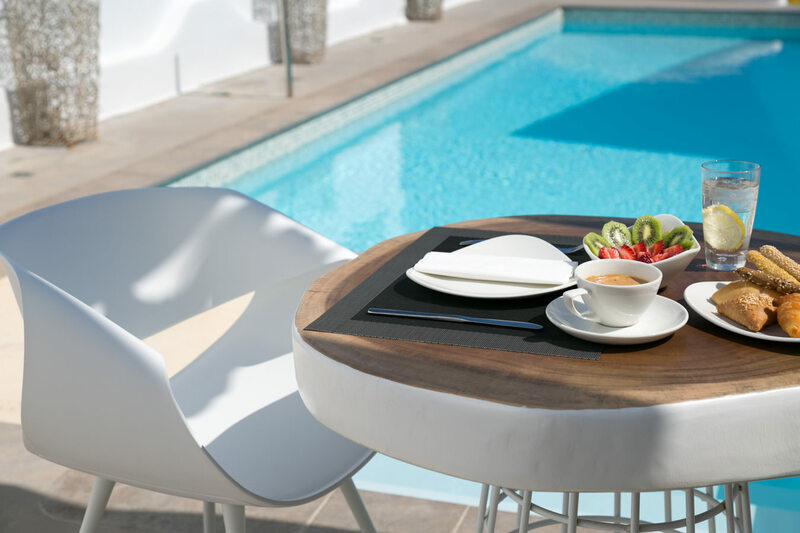 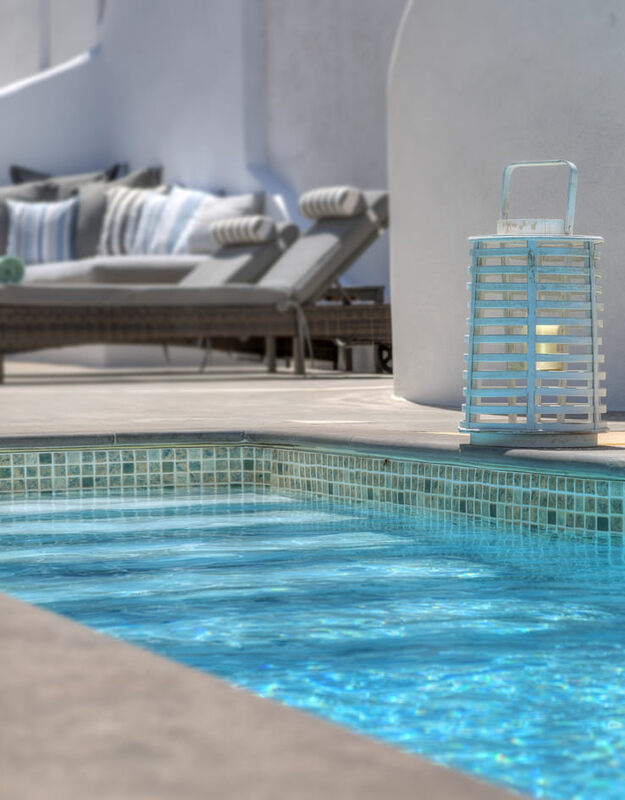 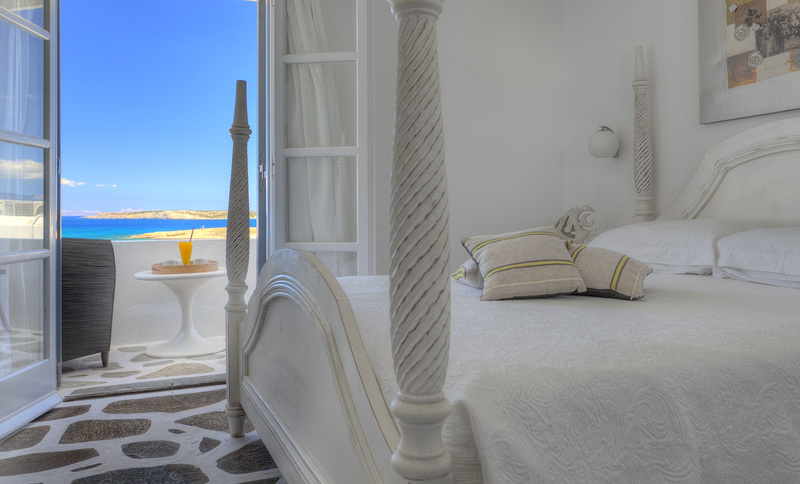 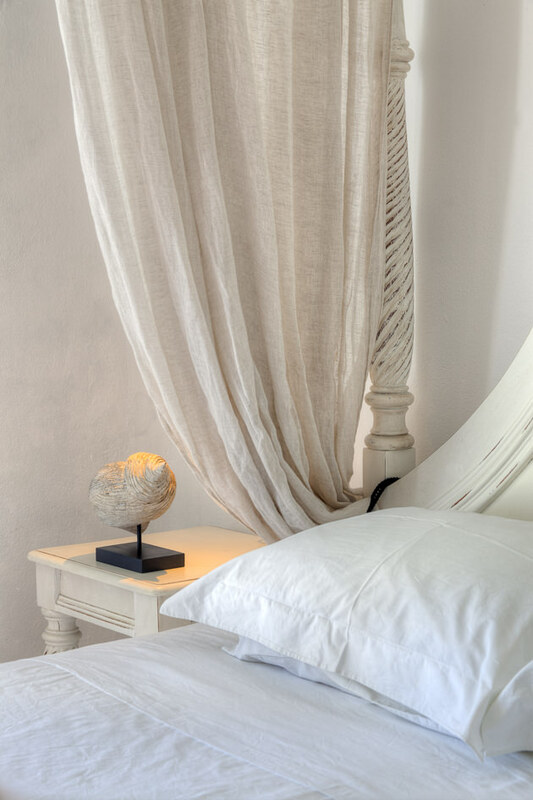 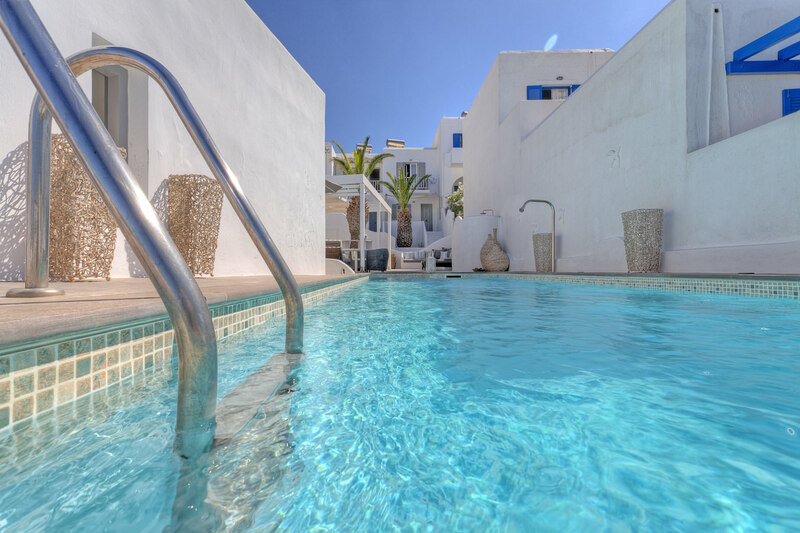 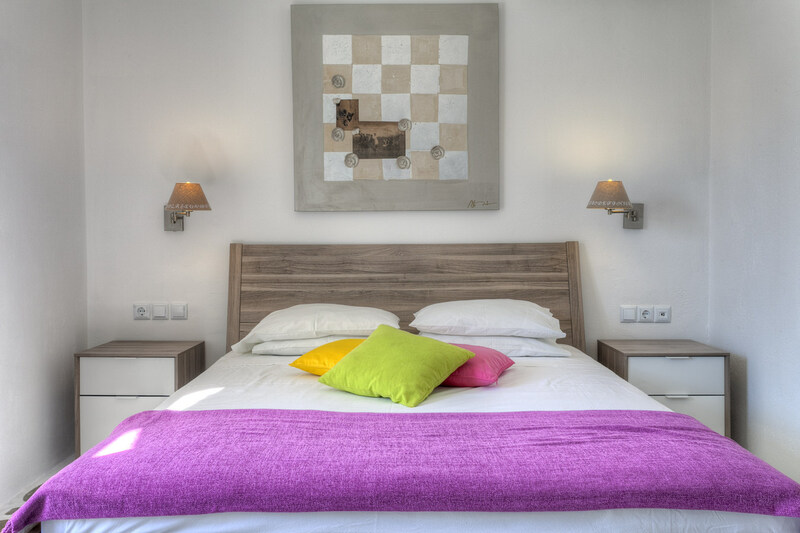 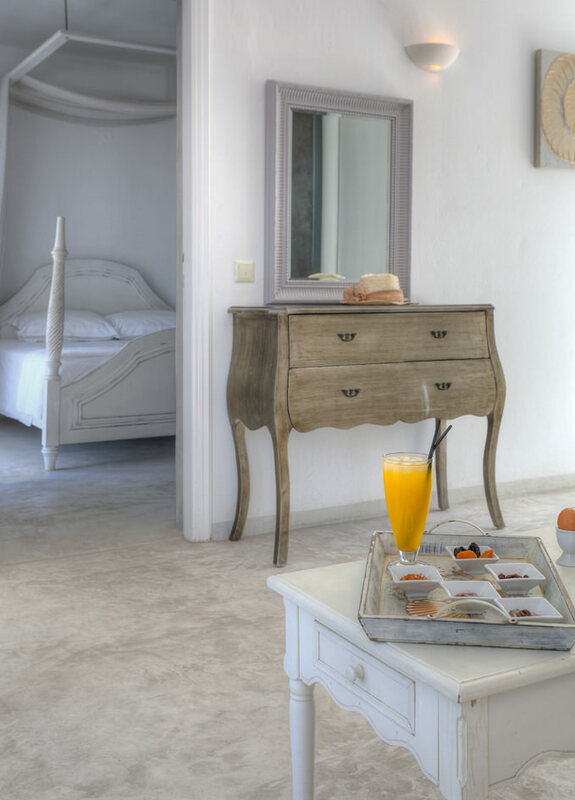 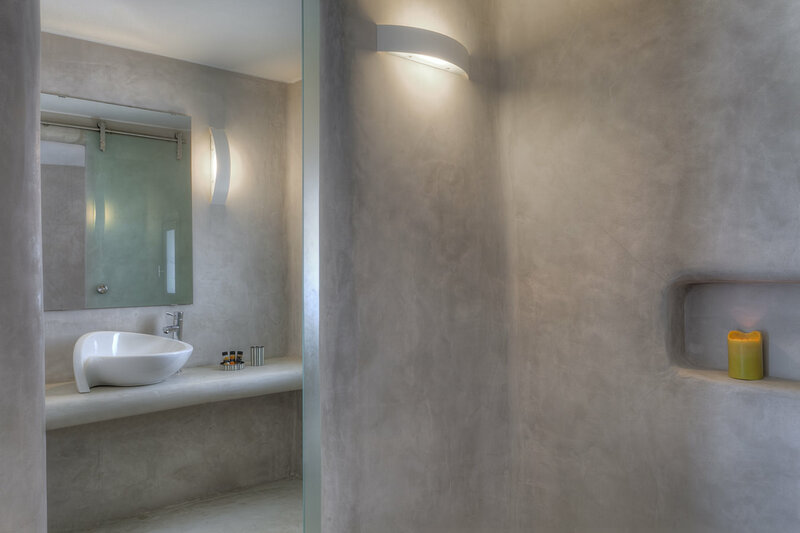 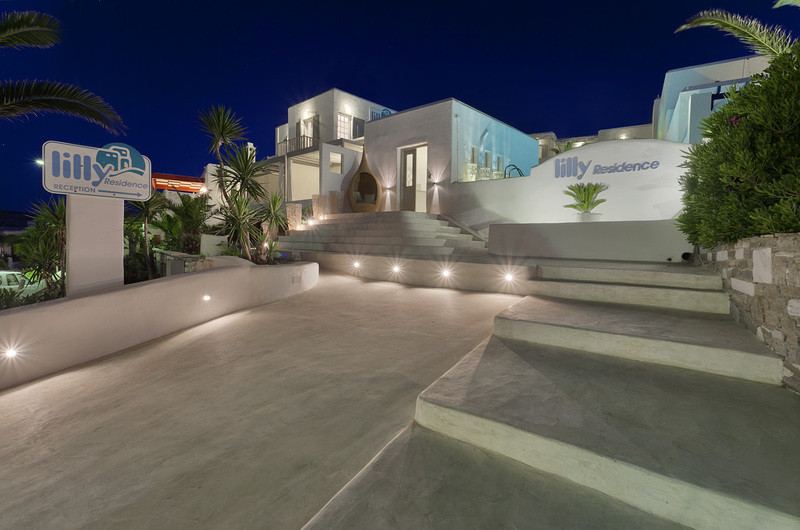 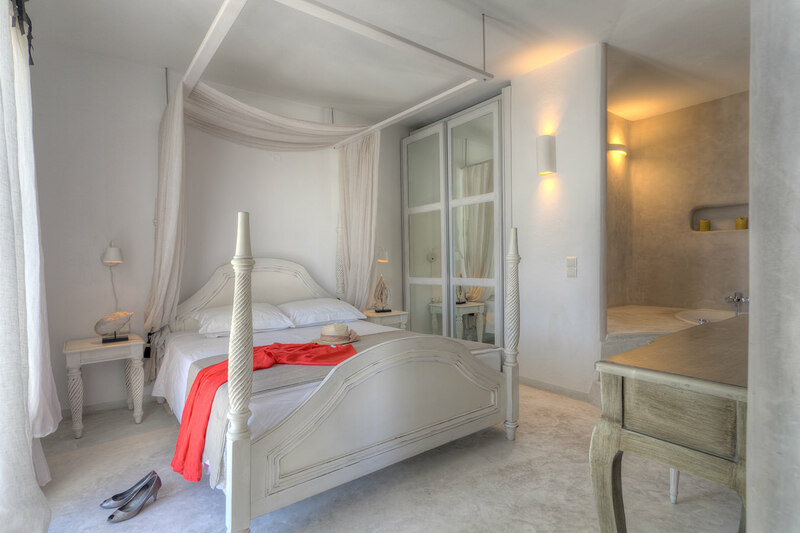 Lilly Residence – All Suites is a luxury boutique hotel located in Naoussa in the North part of the island of Paros. 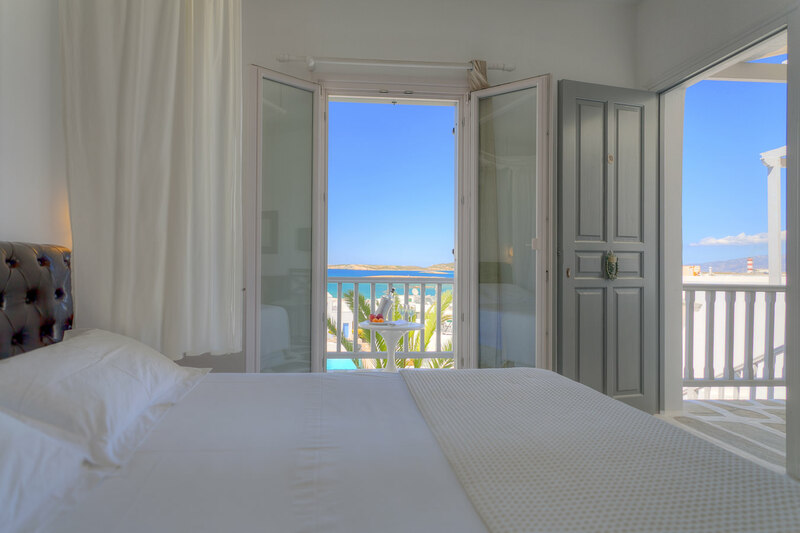 Every single room of the hotel has sea-view so the request from the owner was to highlight that view in the photo-shoot. 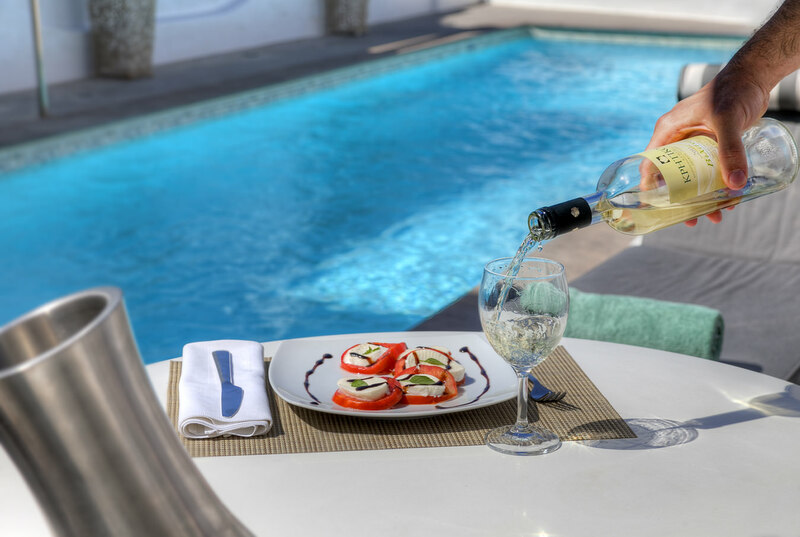 Beside the sea-view, the hotel has a cosy swimming pool that is located in the center of the site and is a relaxation and also a meeting point for the tenants. 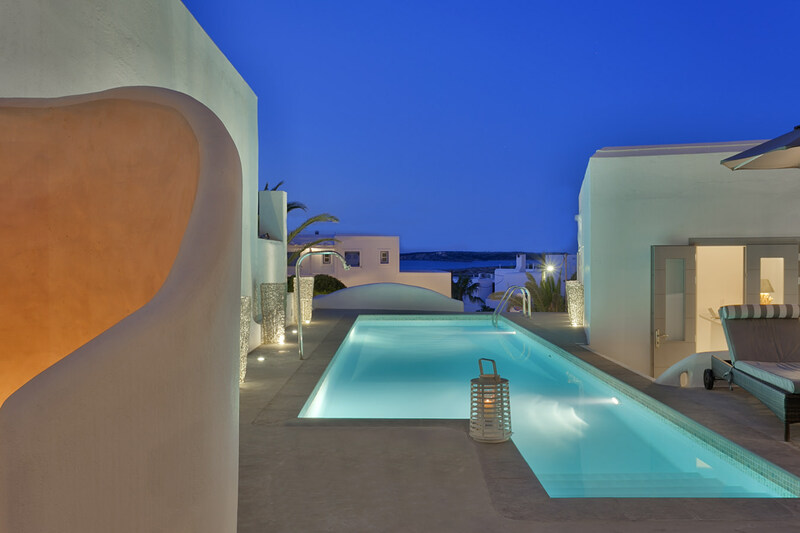 We promoted that feeling creating images from the hotel to the sea and pool, but also backwards so in that way the pool was the foreground of our image and in conjunction with some dusk shots it looks exactly as luxurious as it is. 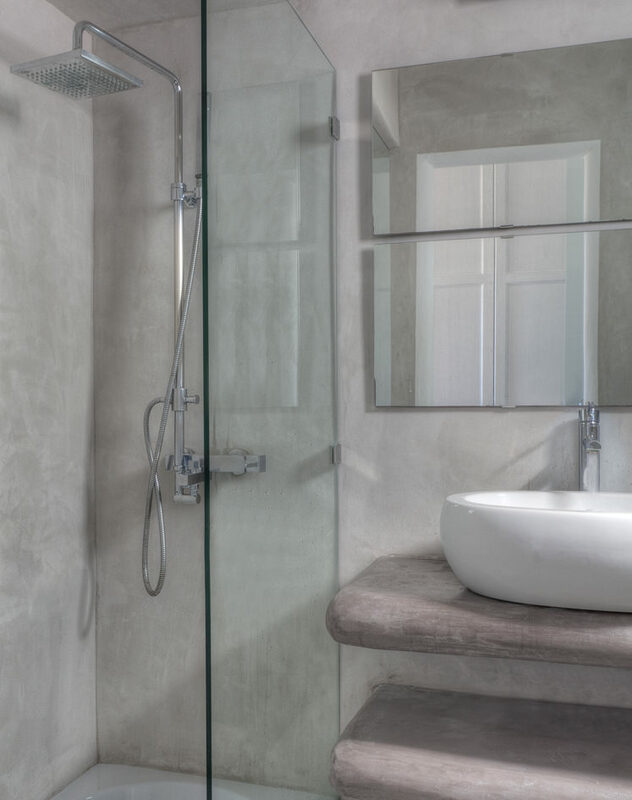 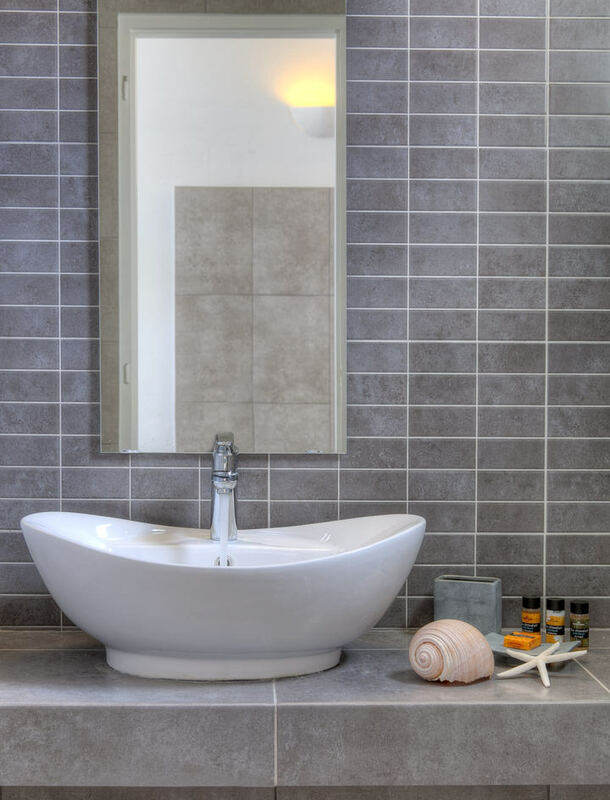 The owner wanted the interiors to have a habitable look, so styling was in order to make it happen. 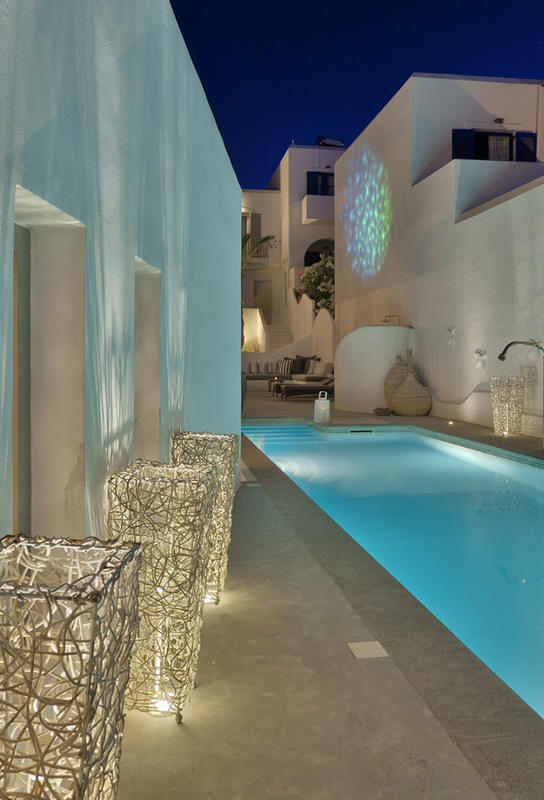 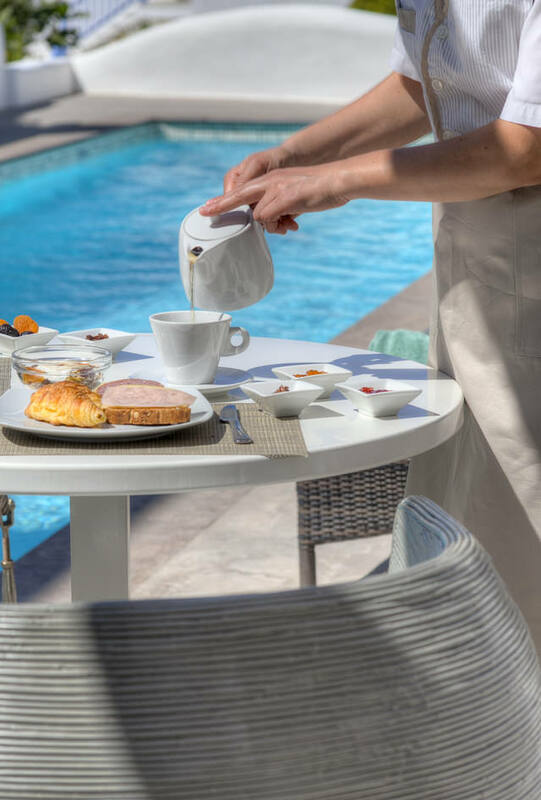 Lilly Residence - All Suites, offers guests and travelers seeking luxury, a heavenly slice of Cyclades island life and provides an experience of unparalleled romance and prestigious luxury. 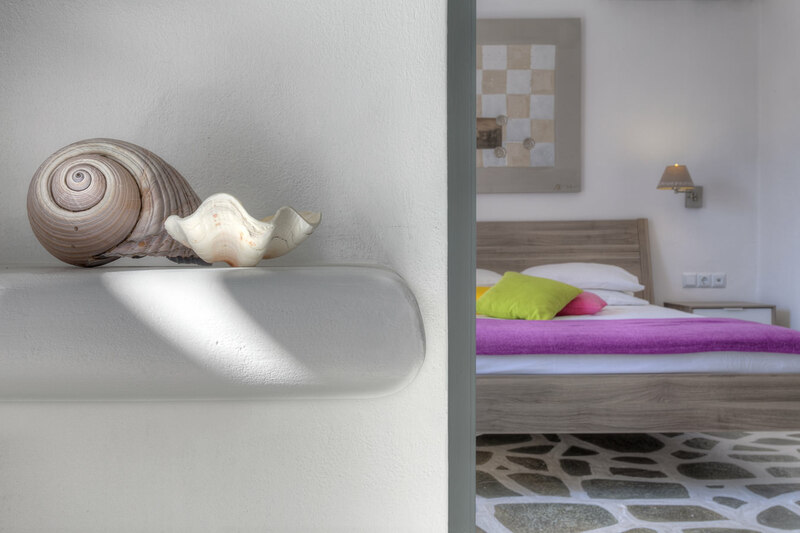 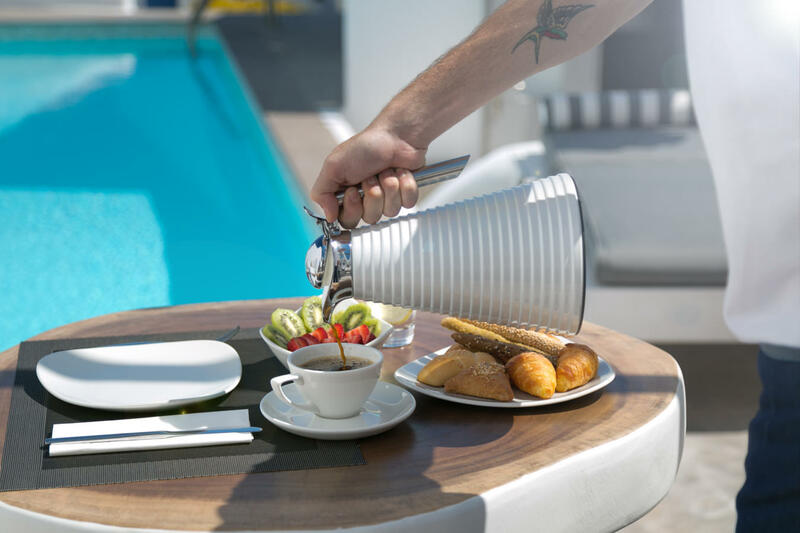 All Suites are facing a magnificent view of the Aegean sea with white washed verandas and balconies under blue skies, providing a relaxing heaven of comfort.